After years of caring about the subject and teaching a similar course at Cal for 8 years, one day over lunch in 2007 Dave Evans, well meaning Silicon Valley guy and frequent Stanford mentor, suggested we do something like this to Bill Burnett, recently named Design Program Executive Director. Bill immediately said, “Absolutely! This issue walks in my office every day! It’s a perfect application of design thinking. 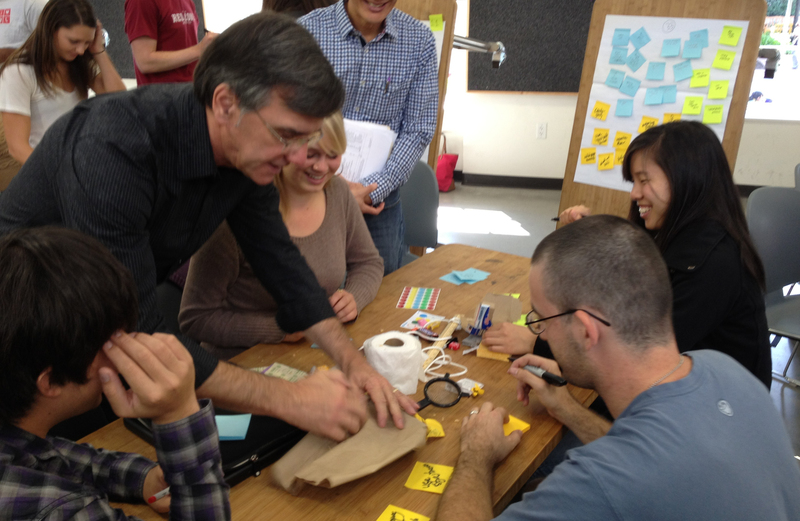 Let’s design a prototype course and launch this Fall.” So, we did. Since then we’ve taught 4 different courses 8 times to Seniors, Masters students and Phd candidates (ME104, ME304, E311B with Professor Sheri Sheppard, and ME403B). ME104B is our first offering to the general undergrad community, inviting all Juniors and Seniors to benefit from applying design thinking to the challenge of a meaningful life and vocation after Stanford. Bill Burnett remembers when he was an undergrad back in the 70’s how excited he got when he discovered the Product Design major and a career trajectory for which he had honest enthusiasm. He hasn’t forgotten how important that experience was for him — and how often it doesn’t quite happen for students, even at Stanford. That’s a big part of why he’s been here for over thirty years working with students, while also having a career in design and Silicon Valley entrepreneurism.